"She will search the house and empty her toy boxes until she finds whatever one she is looking for." 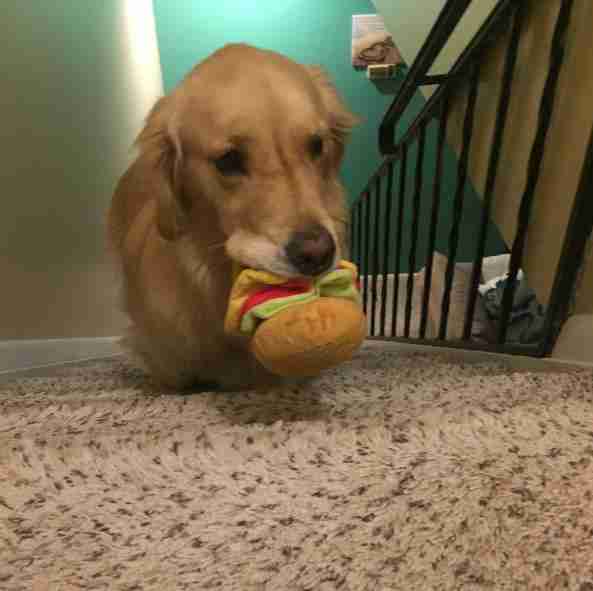 Mojito is a dog who absolutely LOVES her toys. 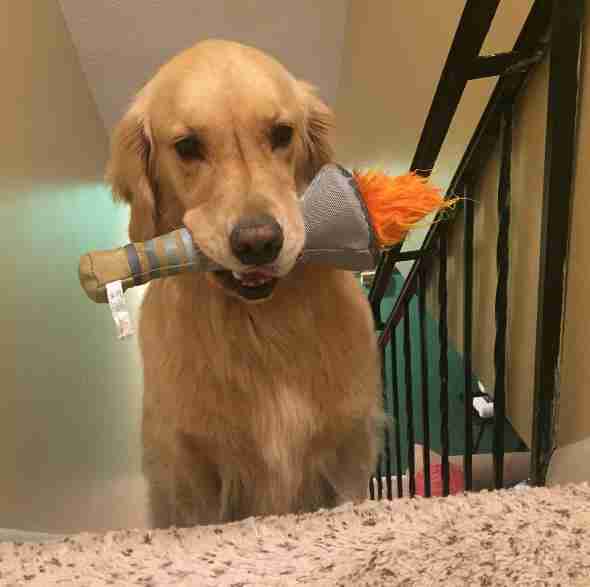 "Mojito has tons of toys ... way too many," Kim Downie, Mojito's mom, told The Dodo. 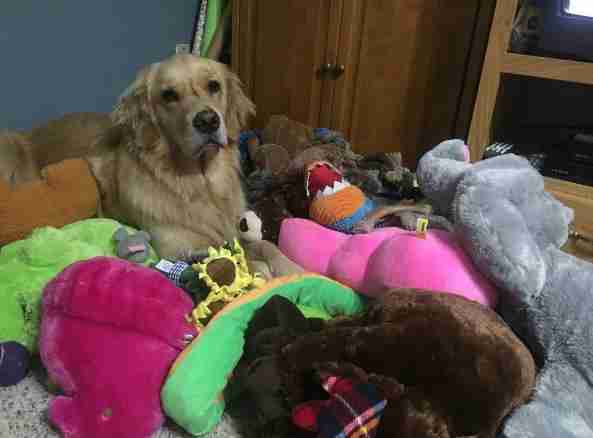 "She insists on picking one out every time we go to the store and of course BarkBox sends her new toys every month." 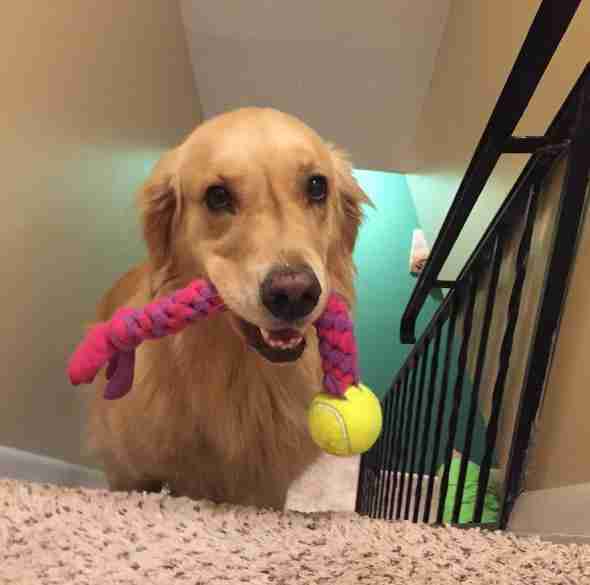 The 3-year-old pup, who recently became a therapy dog, spends all day playing with her toys. 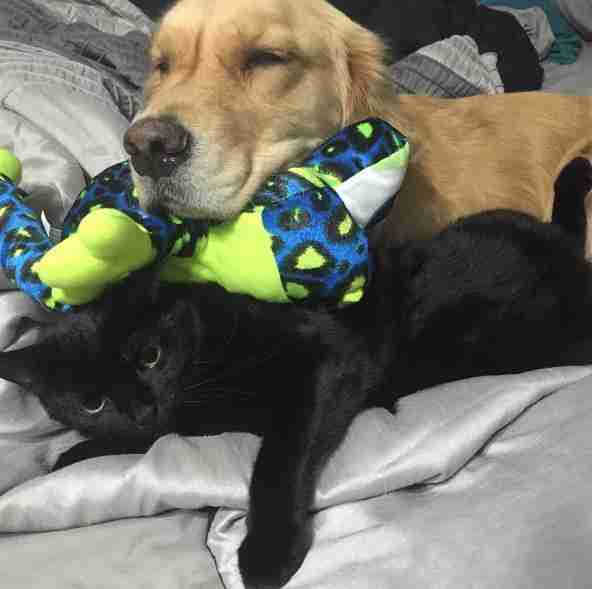 Sometimes she even lets her cat brother Vader play too. 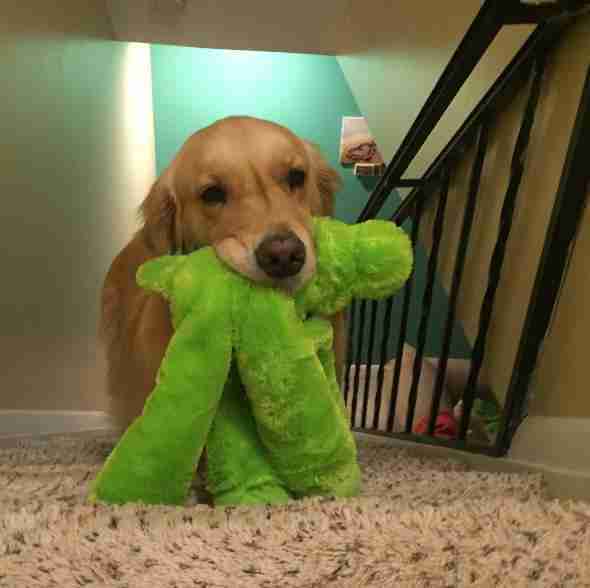 When it's time for bed, Mojito never puts up a fight - as long as she has a toy to bring upstairs with her. "She does it when she has to go to bed early with me, almost like she needs a toy to keep her entertained," Downie said. "She is very specific about what she chooses to take to bed. She will search the house and empty her toy boxes until she finds whatever one she is looking for." ... and each one seems to get a turn coming to bed with her. Instead of bringing the toy back downstairs the next day, the chosen toys stay upstairs until Mojito decides she's ready to bring them back down again. 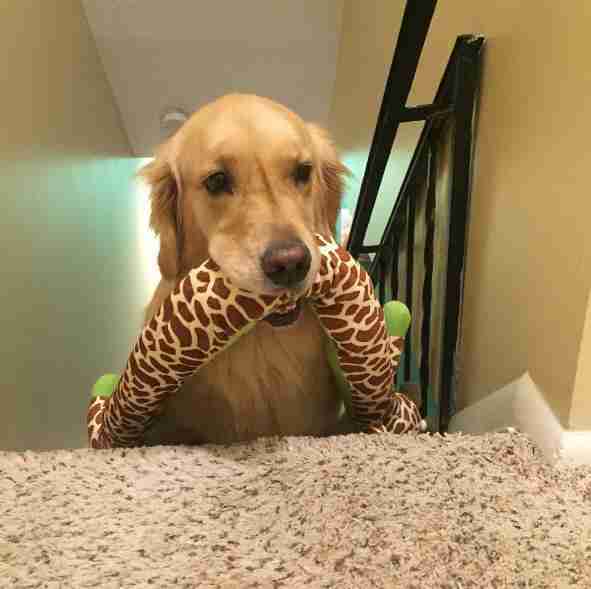 "If we move them back downstairs, she will carry them right back up," Downie said. 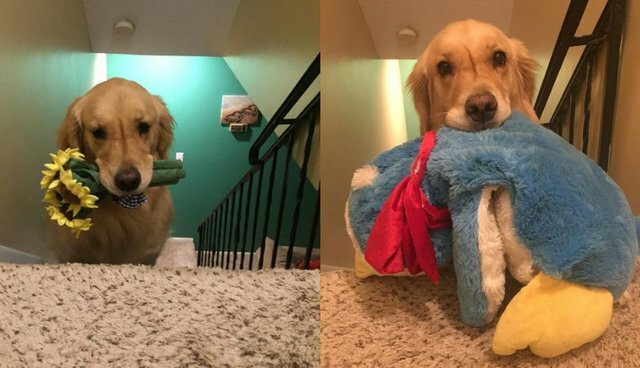 Mojito has been bringing toys to bed with her for about a year and a half now, and her parents love to photograph her journey upstairs with her chosen toy each night. She's a little quirky, but she's also adorable, and she totally knows it, too. You can follow Mojito's bedtime routine on her Instagram account.